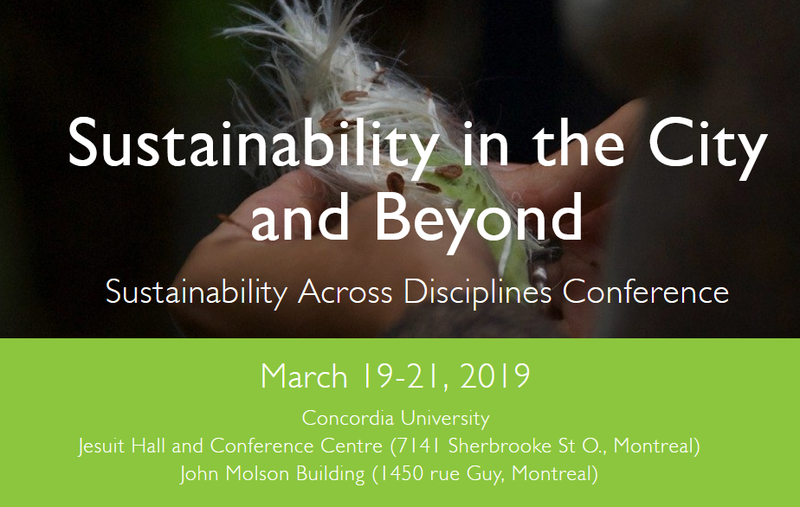 This conference will take place on March 19-21, 2019 in Montreal and it will cover research being done on sustainability in general and urban sustainability in particular at Concordia University and beyond. 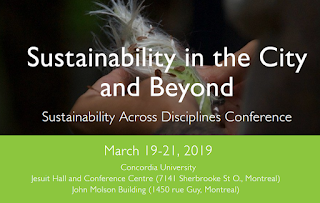 Presented by the Loyola College for Diversity and Sustainability and the Loyola Sustainability Research Centre this year's edition of the annual Sustainability Across Disciplines conference has an urban theme and a new partnership with the Institute for Urban Futures. This conference will provide students, researchers, and the general public with the opportunity to participate in cross-disciplinary discussions and activities addressing sustainability research in relation to pressing urban and global issues, as well as the role that art plays in shaping more socially and environmentally just urban futures. All registration is free and open to the public but you must register for each day you plan to attend.